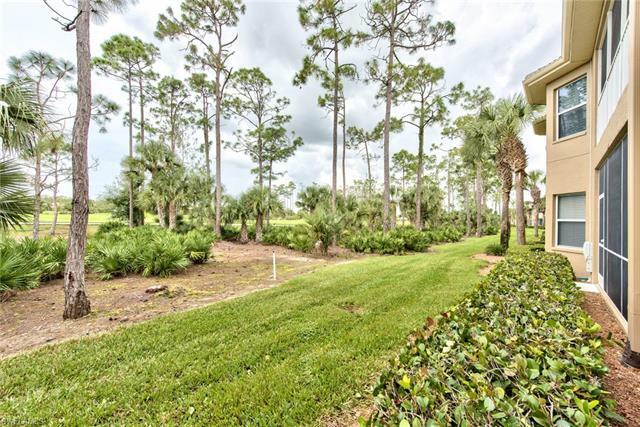 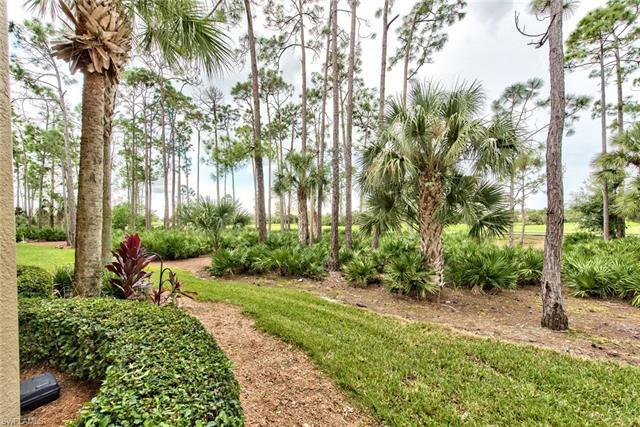 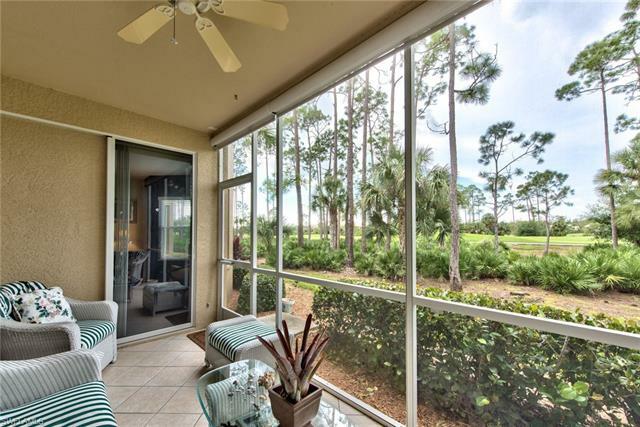 Spectacular sunset view of golf course and clubhouse from this western exposure, 2 bed plus den first-floor coach home w/ attached garage. 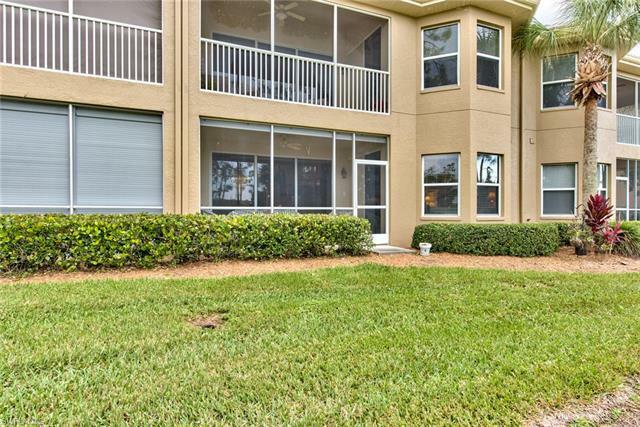 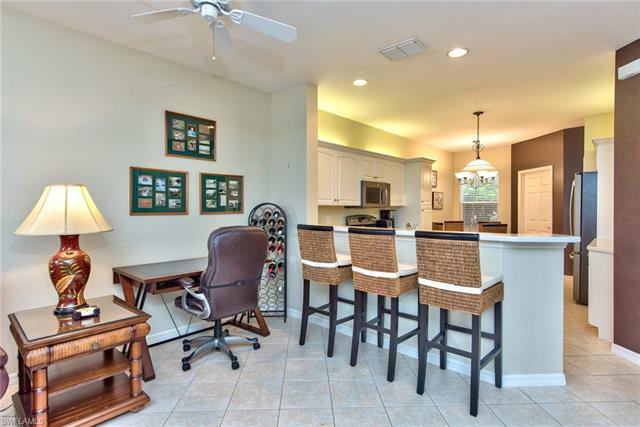 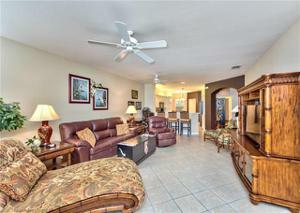 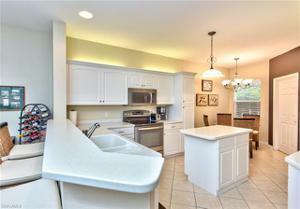 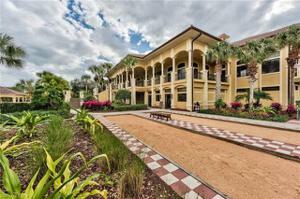 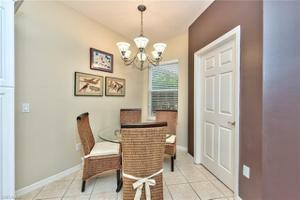 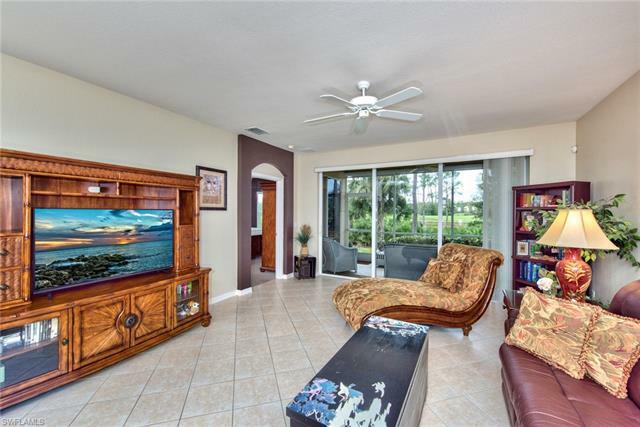 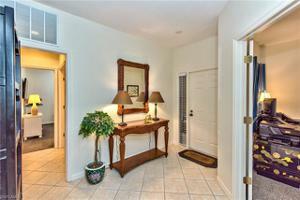 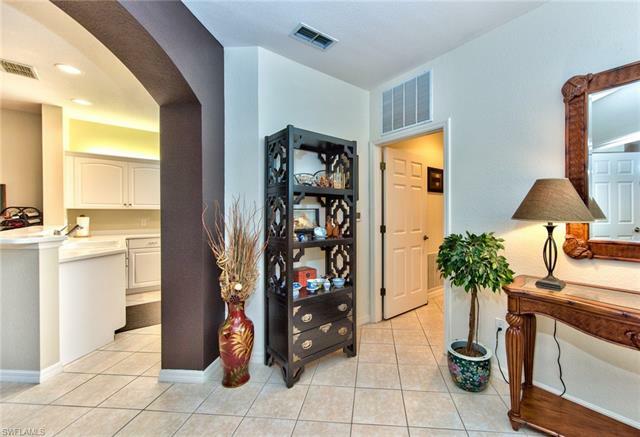 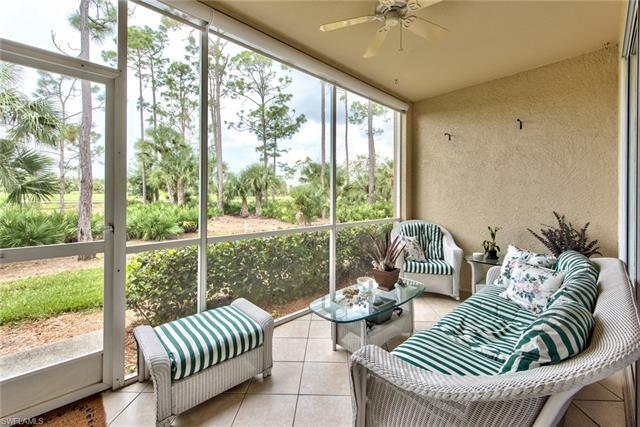 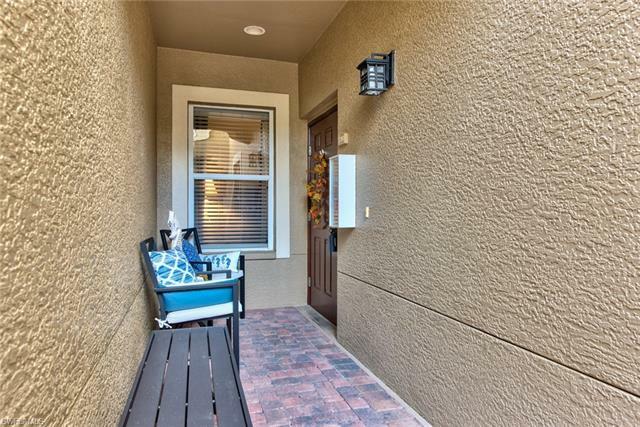 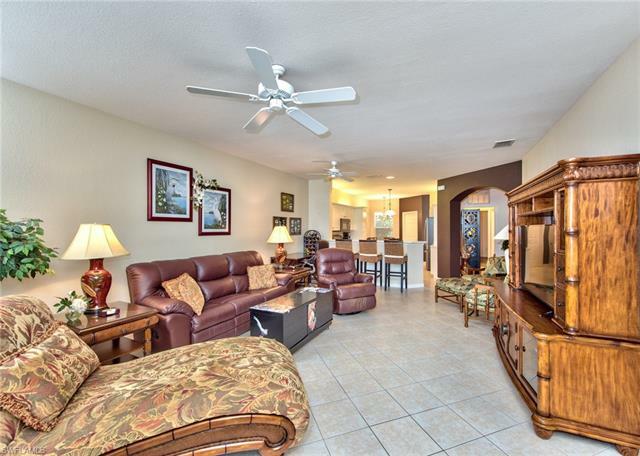 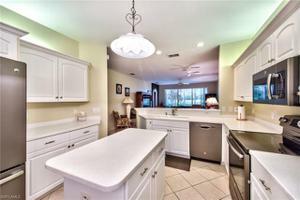 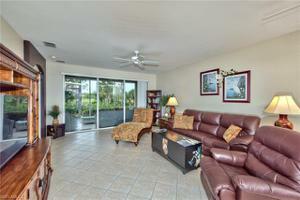 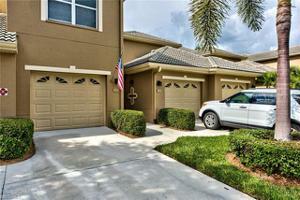 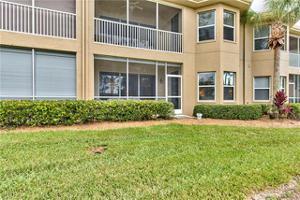 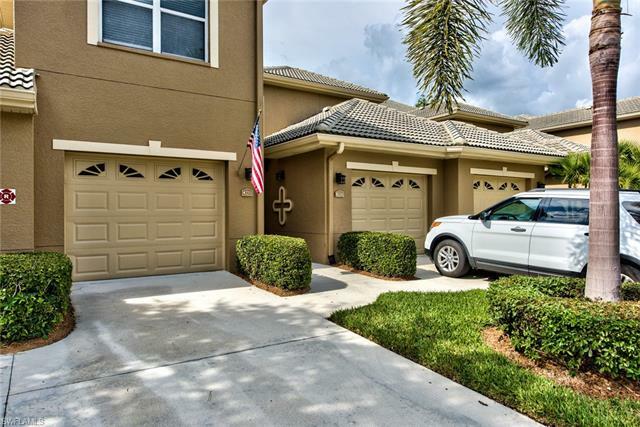 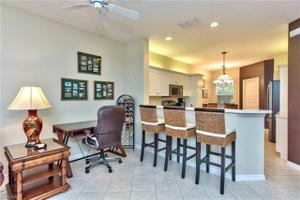 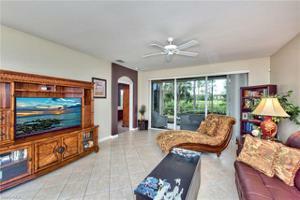 Perfect for entertaining with its open floor plan, & large covered lanai. 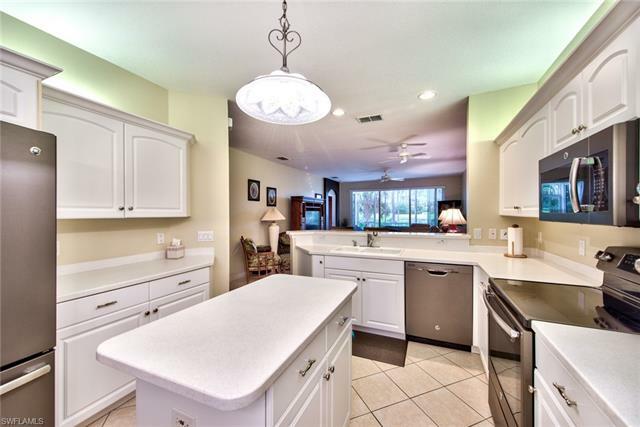 You will love the well-appointed kitchen w/solid surface counter tops, raised panel cabinetry, center island & breakfast bar. 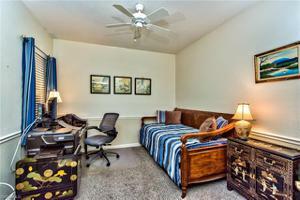 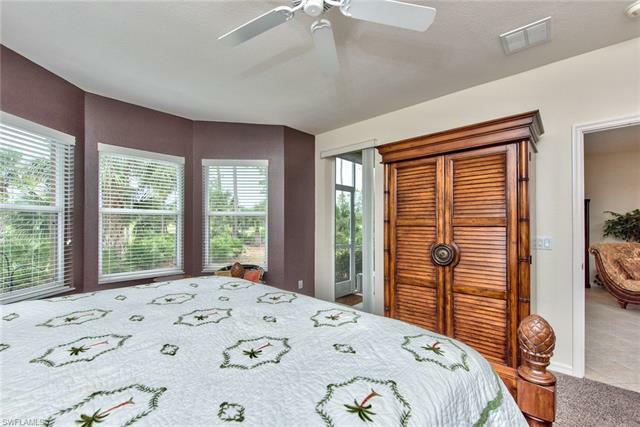 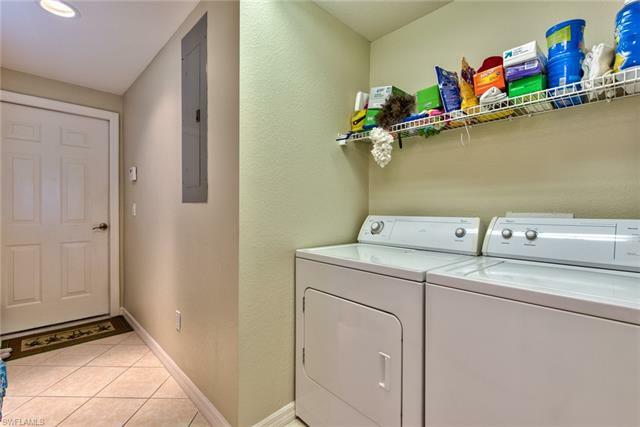 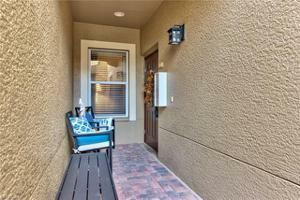 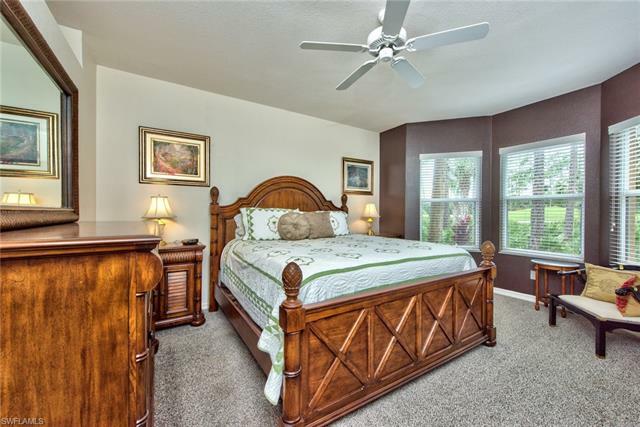 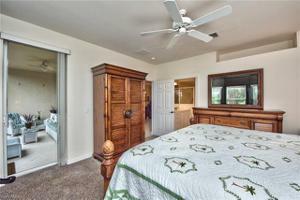 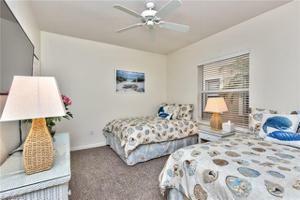 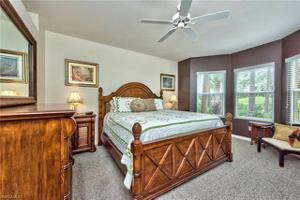 The large master includes spacious closets, access to the lanai, large bath with separate shower & 2 raised vanity sinks. 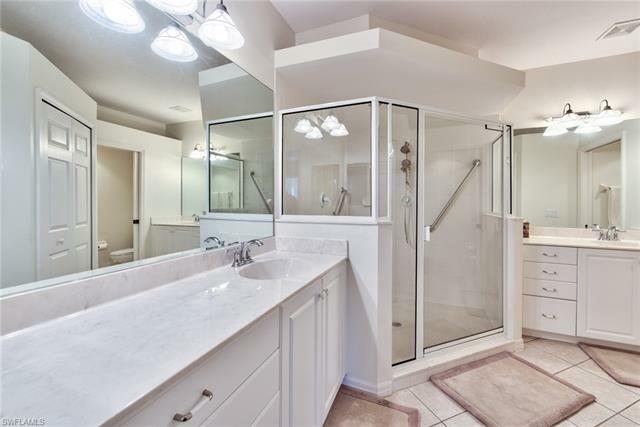 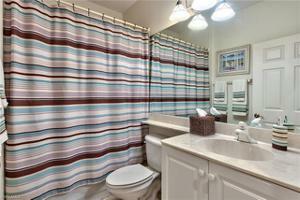 The guest bath is light and bright with its own private on suite with a tub/shower & raised vanity. Den can be used as a third bedroom option. 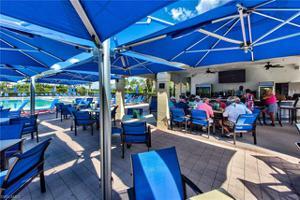 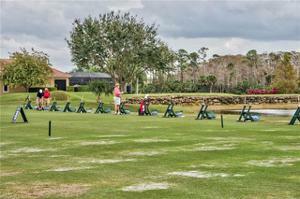 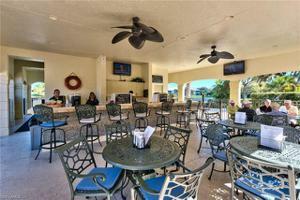 Social membership includes resort-style heated pool & hot tub with an outdoor grill/bar, social clubhouse with dining. 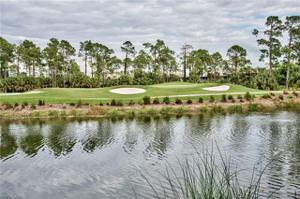 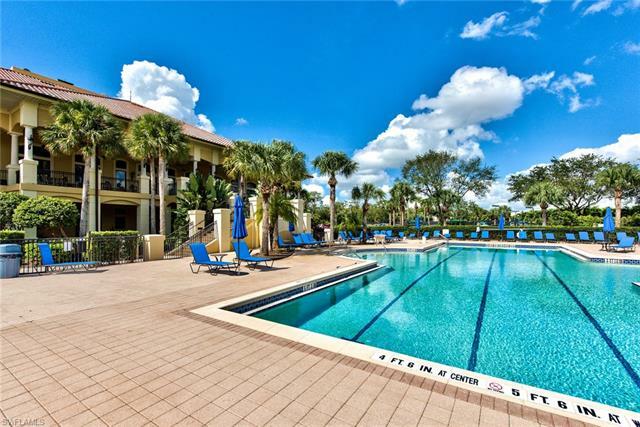 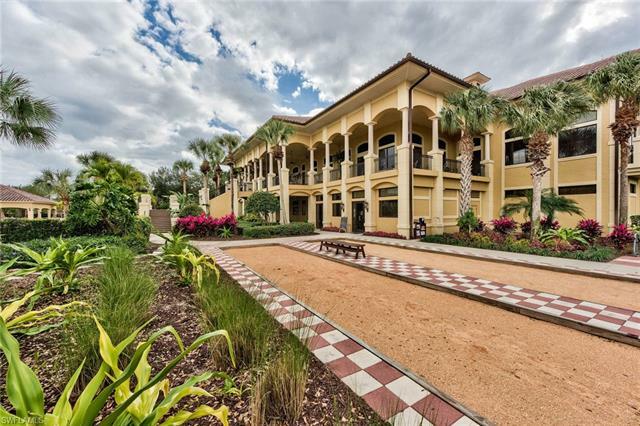 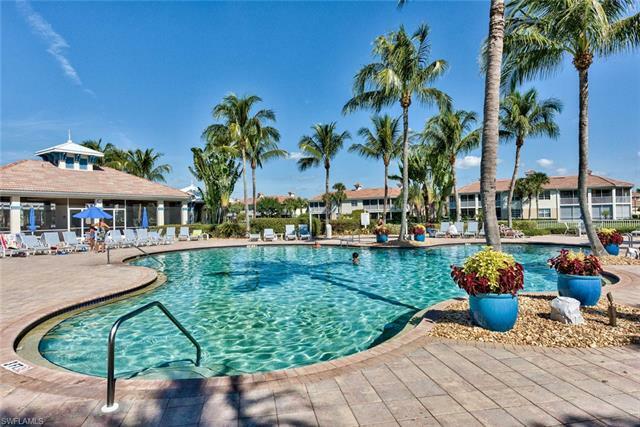 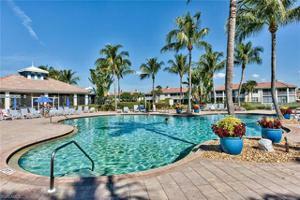 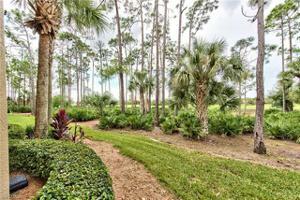 Sabal Palm has its own clubhouse & pool. 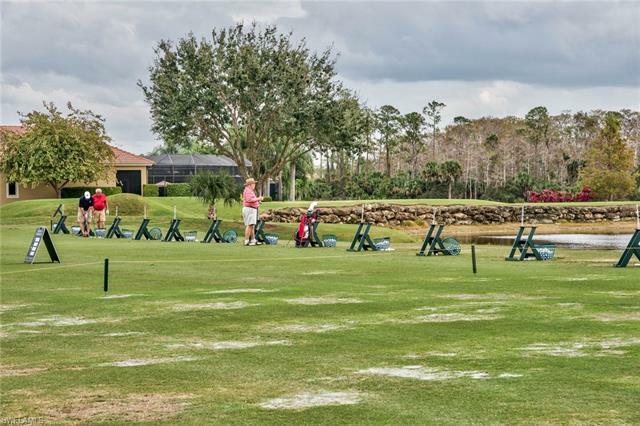 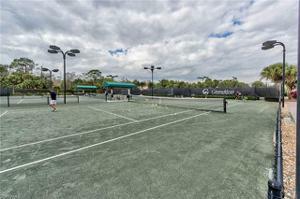 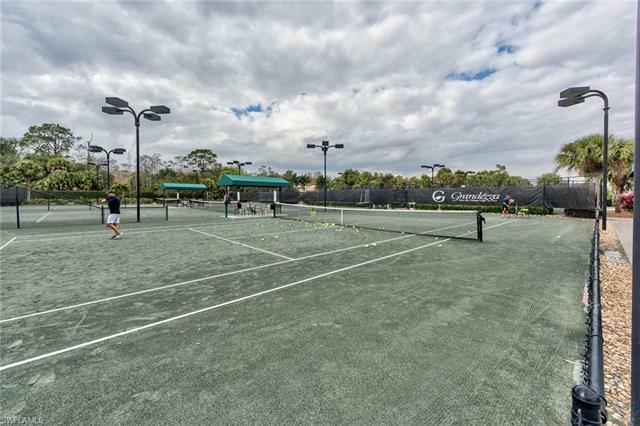 Optional memberships entitle members to a full range of privileges such as the 18 hole golf course, tennis on six lighted Har-Tru courts & state-of-the-art fitness center. 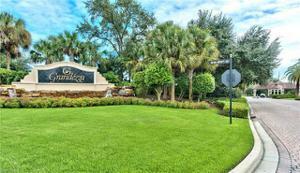 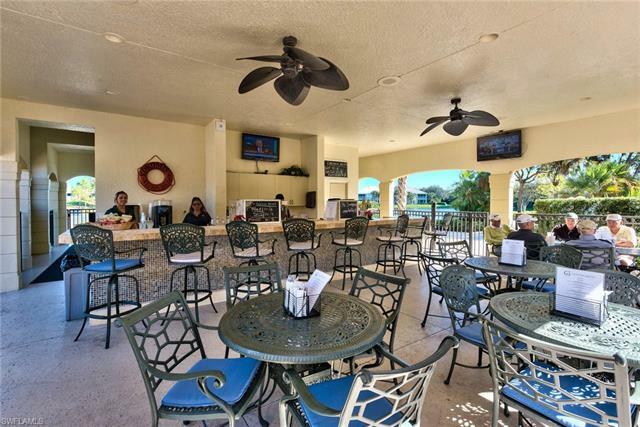 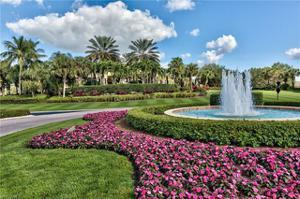 Grandezza is surrounded easy access to shopping and dining and the breathtaking gulf coast beaches nearby. 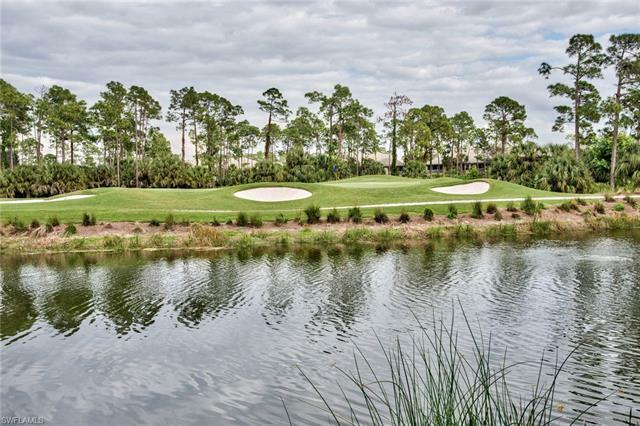 Sports fans will enjoy living just minutes from JetBlue Park, home to the Boston Red Sox Spring Training, & Hertz Hockey and Entertainment Arena.